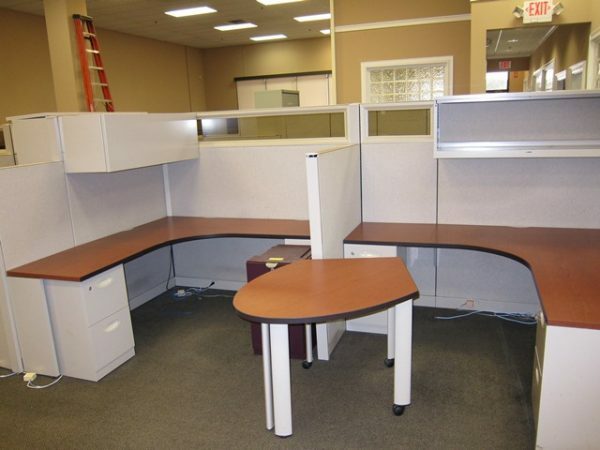 Used Steelcase Answer 6×6 cubicles. Most of the panels are 54 high except where there is an overhead bin. Each station has two full height pedestals. Stations were originally set-up in shared configuration. Power down the spine. Some stations have a glass stacker accent panel. Good as-is condition.